Everyone believes mobile payments are the next big thing. It’s just that no one quite knows when that next big thing is likely to take off, or what exactly it’s going to look like. 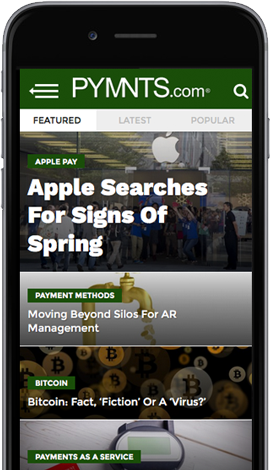 Wal-Mart, for its part, has been trying to deliver mobile payments via MCX’s CurrentC – but it’s running in a field with Apple Pay, Google Wallet/Android Pay, PayPal, and Samsung Pay – just to name a few of the headliners. While there are early favorites, there are no clear winners – yet. Outside of Starbucks, none of the mobile payments players has captured hockey-sticking user numbers in the use-your-phone-instead-of-a-card-at-checkout category that would indicate something is really taking hold. Part of the problem, according to WiseSec CEO Vadim Maor, is that the way mobile payments are pitched to both users and retailers really kind of misses their most basic desires in a payments platform. But – as all hardened payments veterans know – offering an easy and straightforward experience for consumers on smartphones can be far from either easy or straightforward for merchants – particularly those with “mature” back-end systems. The WiseSec solution is a platform that is the bridge between a retailer’s existing system and the easy acceptance of “tap and go,” mobile payments. While apps like Apple Pay rely on NFC technology to provide the mobile payment experience, WiseSec uses bluetooth technology to locate and authenticate a customer in the store. WiseSec did not get its start in retail payments; the original use of its technology was for security and defense, and more recently in financial services where they have managed to smartphone-enable ATM transactions. No matter where their platform is applied, however, it all operates on a simple principle – using location details to authenticate users and their devices to retailer POS systems. And what sets WiseSec apart, says Maor, is that it is truly agnostic about the device or source of the transaction. And that sort of independence matters, Maor notes, because it means that retailers don’t have to play favorites. And, as Maor points out, that includes retailers’ ability to turn consumers’ bank accounts into a mobile payments solution that can be used in-store to check out. But to be clear, WiseSec doesn’t want to replace the POS or disrupt retail so much as it wants to enhance it by making the bar for entry low enough that the growing rumble for mobile payments is enough of an incentive to push them forward – and accelerate acceptance of mobile payments. The company is still new to retail – though Maor alluded to deals in the works in their home country of Israel with some major retailers. The firm is getting some traction stateside as well, including in the hospitality market, where hotel guests can use their smartphones as room keys. WiseSec will also be stateside for Innovation Project 2015 at the Innovator Expo where it will demo its technology. Tab: Is The Future Of Payments Social?